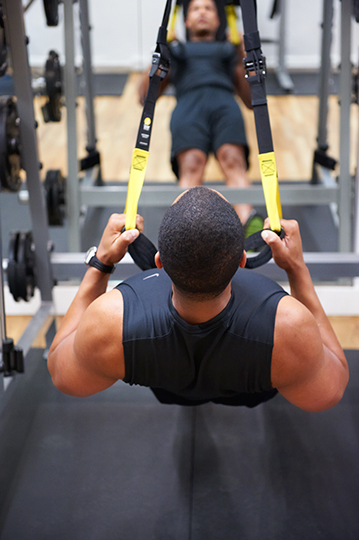 No matter how much you have heard about TRX training up to this point, it really can’t do the workouts justice if you have yet to see for yourself how it actually works. The inventor of TRX suspension training, Former Navy Seal Randy Hetrick, put a video together that shows what a TRX workout consists of. While some of the movements shown in the video below might seem a little difficult, a personal TRX trainer like Julian Walker can show you how the routine can be easily adjusted to fit any fitness level. For the best in private trainer access and TRX training in Murry Hill, Flatiron, Manhattan and Midtown East, check out JulianWalkerFitness.com to look into the services and rates. When you’re ready, head over to the site’s Scheduler and set up a time for personal training, duet training or semi-private training and get started on the Julian Walker Fitness System and TRX training right away.